It’s been a long time since I last did an update on Boncuk on my blog, and since it was 5 years ago last week that we found her, I thought now would be the perfect time! 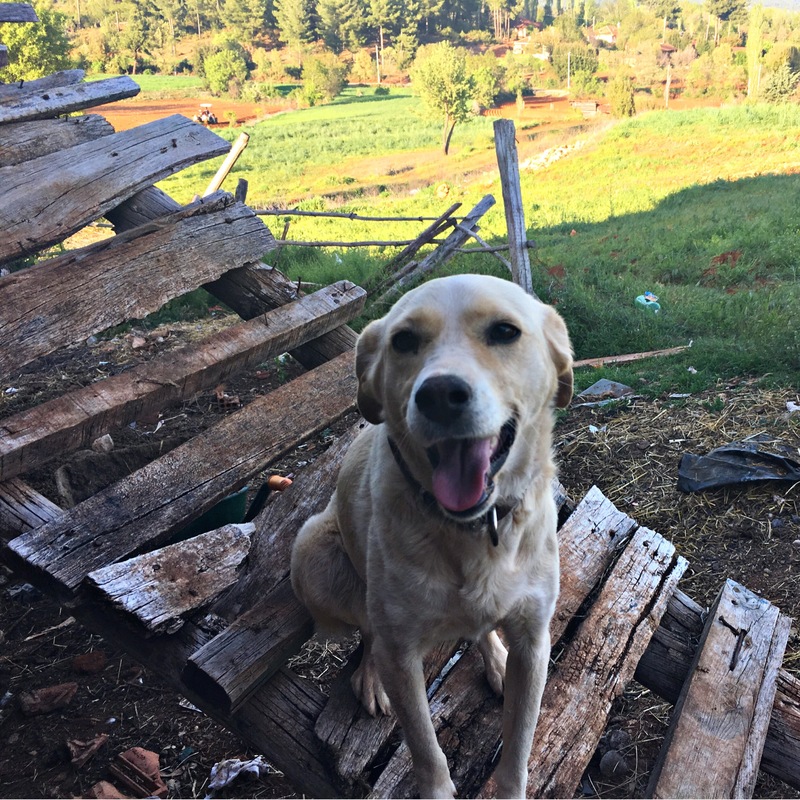 As you know, Boncuk now lives with Berkay’s family on their farm in the village. We went to spend a few days with them in April, and again in September, so I’ve seen her twice this year. 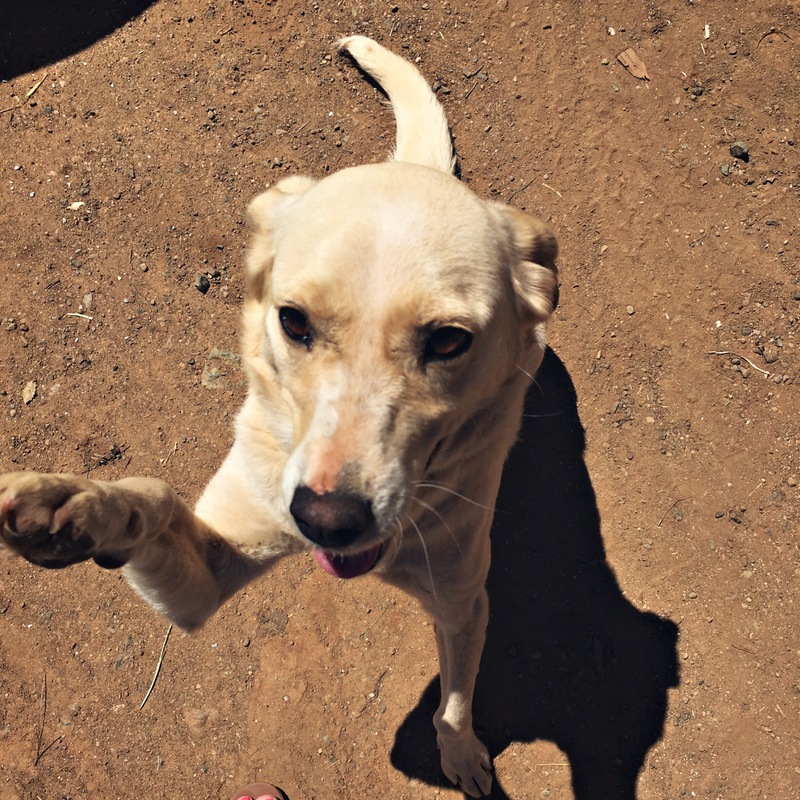 Although we don’t get to see her very often, she definitely has not forgotten us and still greets us with an excited waggy tail every time she sees us. The few days we spent with her in April she was very clingy to me and would sit outside the gate waiting for a glimpse of us when we were inside the house. 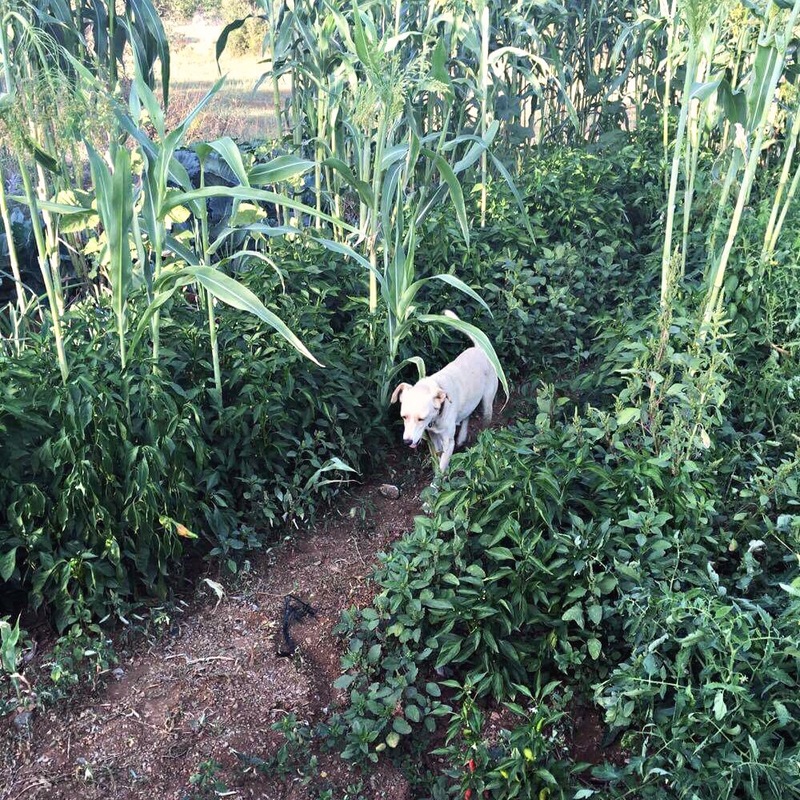 She followed me everywhere when I was walking around the farm, it was so cute. 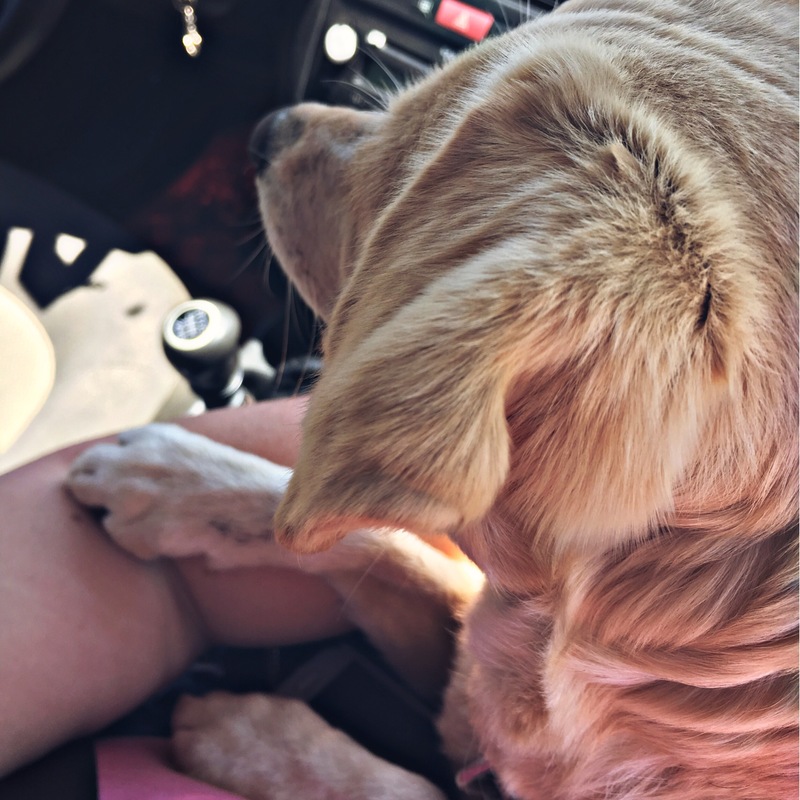 She wouldn’t even let us drive off in the car without trying to jump in.. and one day we gave in and let her come for a little trip up one of the mountains – she laid on my lap, head on my arm, face looking out of the window, ears flapping in the wind. 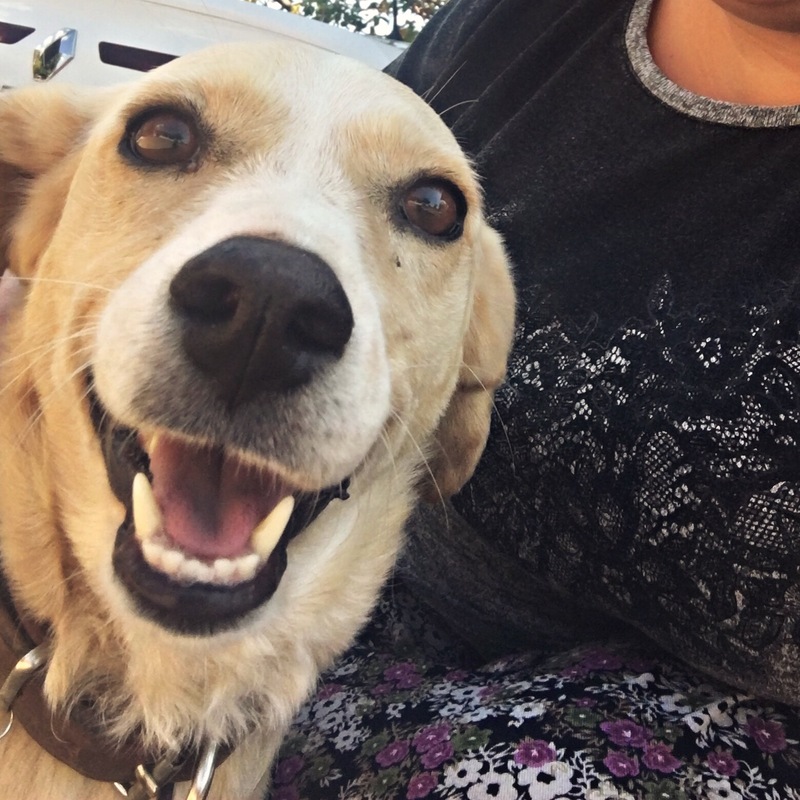 Then when we got out of the car and went for a walk it was just like old times, when we used to take her on lots of walks around Fethiye and Calis. Bless her. Leaving her in April broke my heart, I bawled my eyes out knowing she’d wonder where we’d gone again. I hope she doesn’t think we abandon her over and over again. Someone told me dogs have no sense of time and I hope that’s true, I hate to think of her waiting for us and wondering when we’ll be back. In September we went to visit again for a couple of days and she was her usual, cute self. Greeting us with a waggy tail and big smiley face. I was also really amazed that she still knows the ‘tricks’ we taught her – ‘sit’, ‘lay’ & ‘paw’! 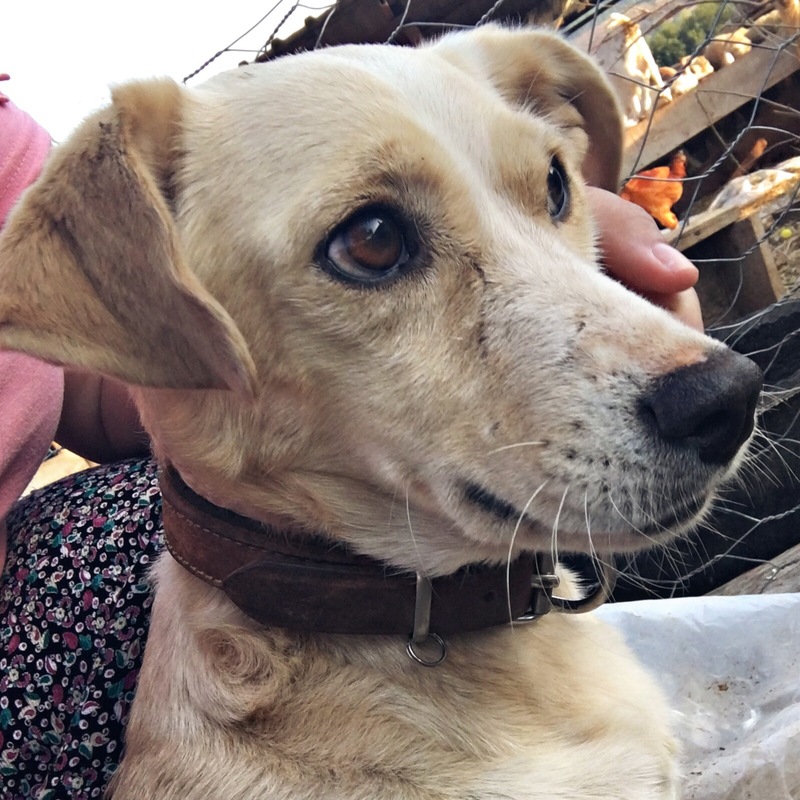 One night I was searching for her for ages, calling her name, trying to find her around the farm, under the cars, in the hay shed, but she was nowhere to be seen. 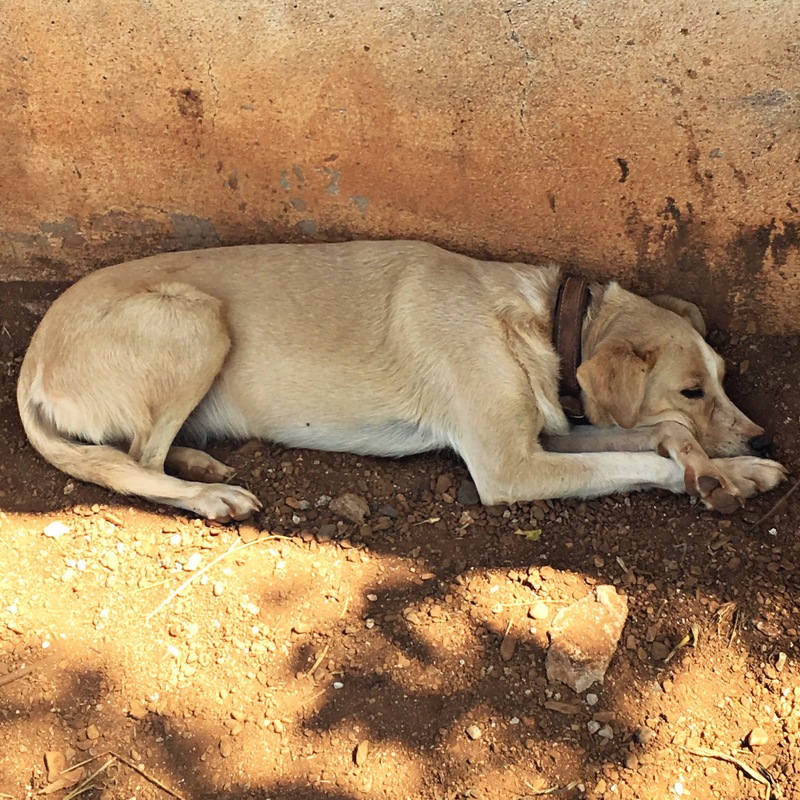 After a while, Berkay found her asleep, curled up in a ball under the sofa on the terrace. So sneaky! She really is the sweetest dog I’ve ever known. 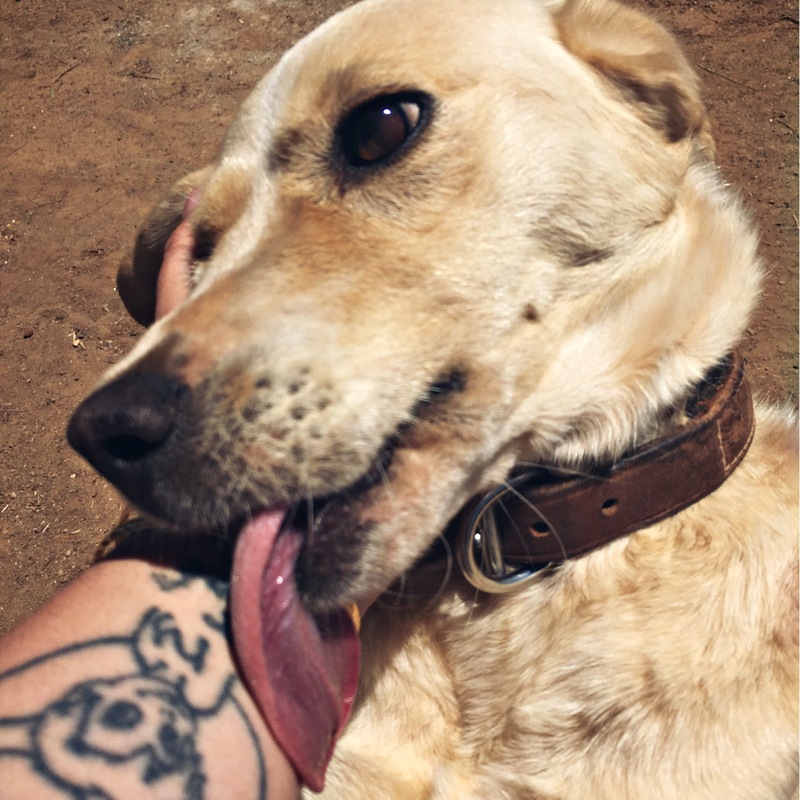 I was worried when we first took her to the village that maybe she’d lose her loving, soft temperament since she’d have less human interaction. 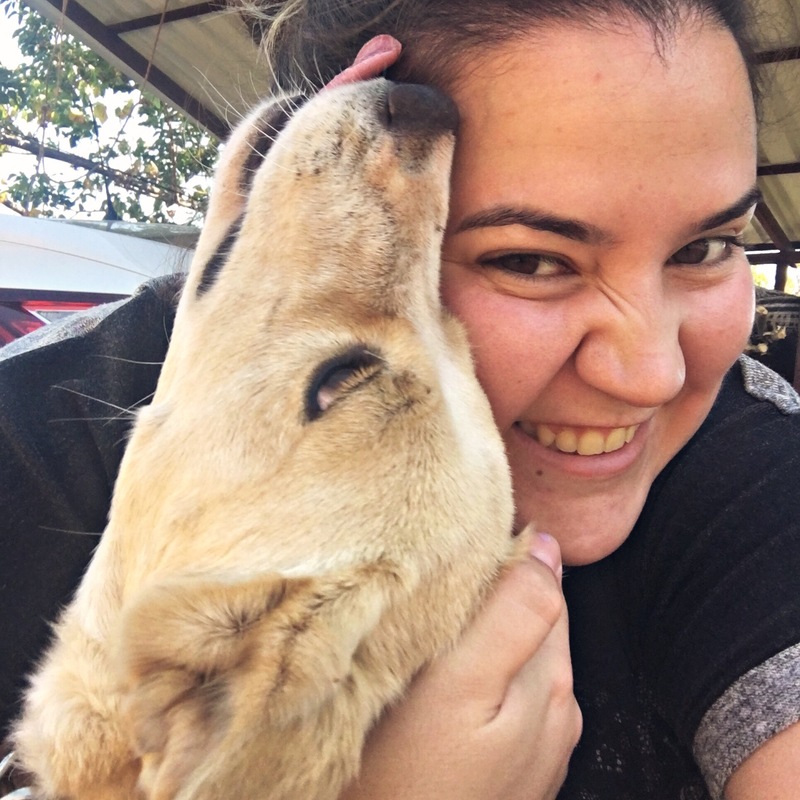 Turkish people don’t really look at pets the same way we do, no baby talk to the dogs, minimal fussing and stroking and definitely no cuddles on laps like she used to have with us… they have their own dog who is chained up all day and is very much a guard dog, who wouldn’t think twice about chewing your arm off! Boncuk has kept her loving personality though, she’s still timid and never growls at anyone, all she’d do is lick you to death! She’s a bit of a wimp to be honest! Although she’s not allowed indoors, apparently whenever it’s thunder and lightning she runs in and jumps on the sofa if she spots the front door open! It’s so hard leaving her but I know she’s well looked after in the village. Berkay’s brother loves her and she likes her life there. She loves to roam free around the farm and plays with the lambs and lets the little chicks run all over her. 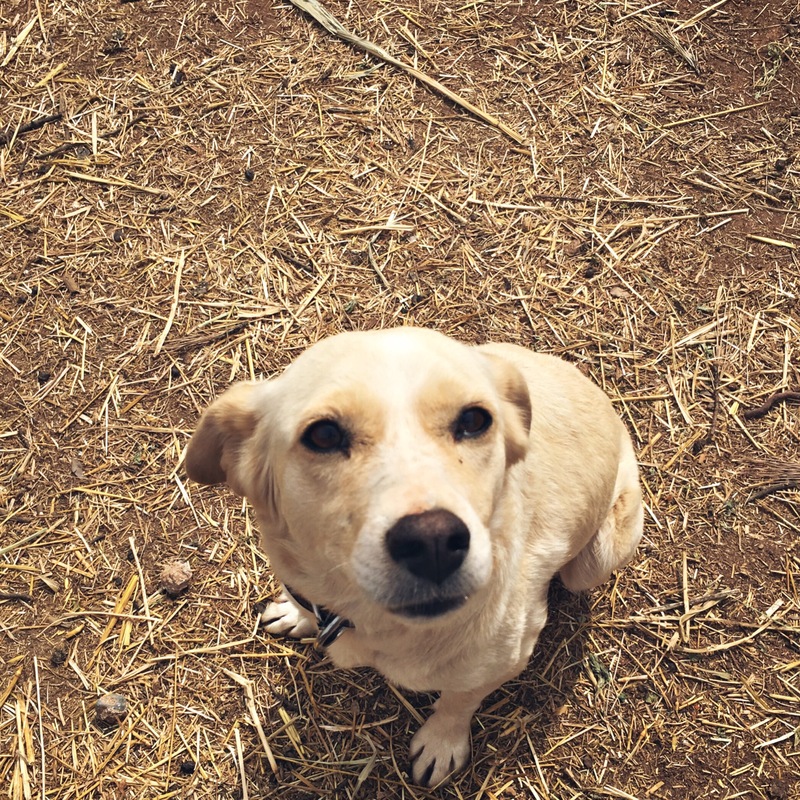 She plays with their other dog and follows Berkay’s step-mum around on her farm duties! 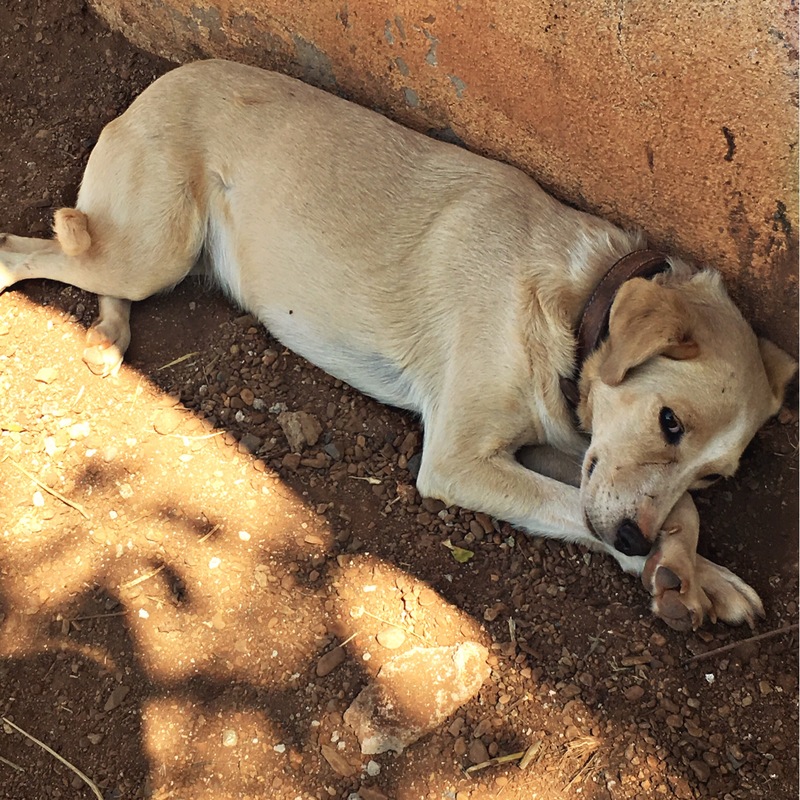 Sometimes I feel really bad for her, wondering if she misses the old days, when we’d take her for walks along Calis beach, playing fetch in fields and up on the hills overlooking the sea.. she used to love playing fetch with her ball and now she doesn’t even have any toys… but I hope she doesn’t miss it. People often ask why we don’t bring her to England and I would love to, the money isn’t an issue I would happily pay it, but she wouldn’t like it here. We both work all day 5 days a week, so she’d be on her own in our flat (with no garden) for 9 hours a day and that’s just not nice for her. She’s never been an indoor dog, she only knows life outside, so she’d hate being cooped up indoors alone all day, it wouldn’t be fair on her. 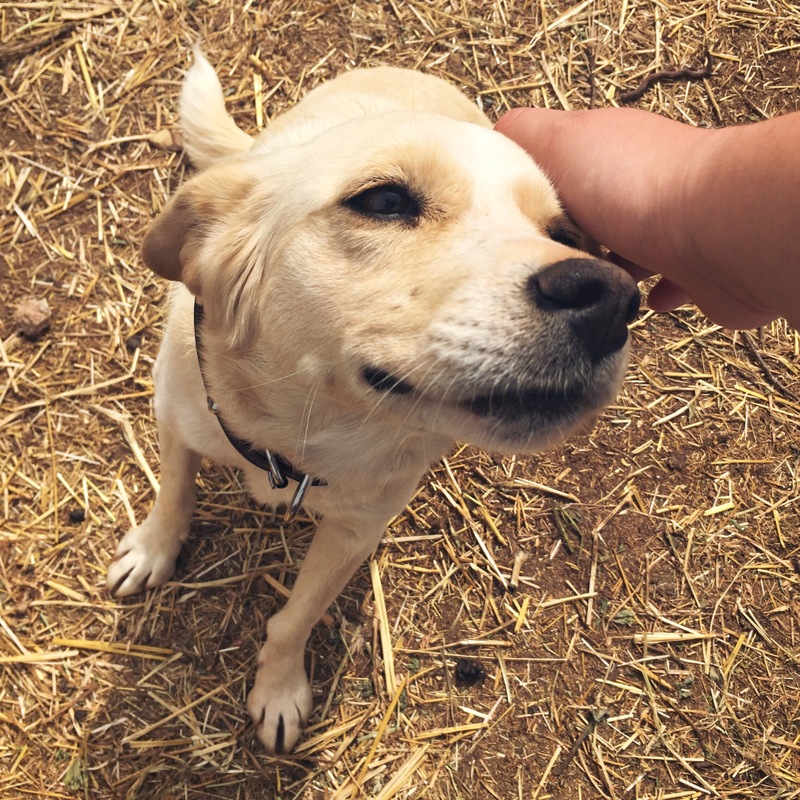 We’re lucky she can stay with Berkay’s family and we can still go and visit her – it certainly makes visiting the village more bearable for me. When I get too stressed or overwhelmed with village life I just take myself off outside, call for Boncuk and sit having a little chat with her. I can’t believe it was 5 years ago we found her as a teeny tiny puppy! You should feel bad. She is bonded to you. Yes of COURSE she has a sense of time! My dog knows what time to wake me up every day, at 7pm on the dot, she demands her supper, she knows the time better than humans. Absurd rationalizations from a person who knows better. So disappointed in you and all your talk about how animals are mistreated in Turkey and then you go and do that. Obviously no one else dared to comment on this post (or if they did, it didn’t get past your “moderation”) as no one with a heart, soul or conscience would co-sign this nonsense. You stuck that poor, sweet girl out on a farm. Like so many people do when they’re finished having fun with their dogs. You bought your own home, the FIRST one you found. You could have looked for a place suitable for the dog. And if you’re going to try to blame your husband, you chose him. A lifetime without a dog in the house = misery. Ah, obviously you are unable to share your real name and instead use a disguised one “very disappointed”! She was always an outdoor dog and is afraid of being indoors, she has never been indoors and even if we had a house with huge garden, she’d hate to be left alone all day while we were at work (we are not fortunate enough to be able to work from home or work short hours, or not work at all!) and I’m sure London house prices are not familiar to you, but a house with a garden would be way out of our budget so she’d have to stay in turkey regardless. There wasn’t really any other option, apart from her joining the army with Berkay when he went and I’m sure she wouldn’t have enjoyed thAt either. Thanks for your opinions though, “very disappointed”. ← Turkish village baggy pants..